Built in 1961, this home has lots of charm and character and has been very well maintained by the seller! You will fall in love with the way the light filters through this home because it has lots of windows! The main living space has a vaulted ceiling with white beadboard giving it an extra open and bright feeling. Buyers will appreciate that most of the windows are newer, updated laminate wood flooring in kitchen/dining/living rooms, stainless steel appliances, gas fireplace, updated bathroom and more. Master bedroom is spacious and features his and hers closets. All bedrooms and hallway upstairs have original hardwood flooring. There is even a workshop/storage space in the basement. Although the house is in the city, the fenced in yard is completely private in the summer when all the trees are in bloom! 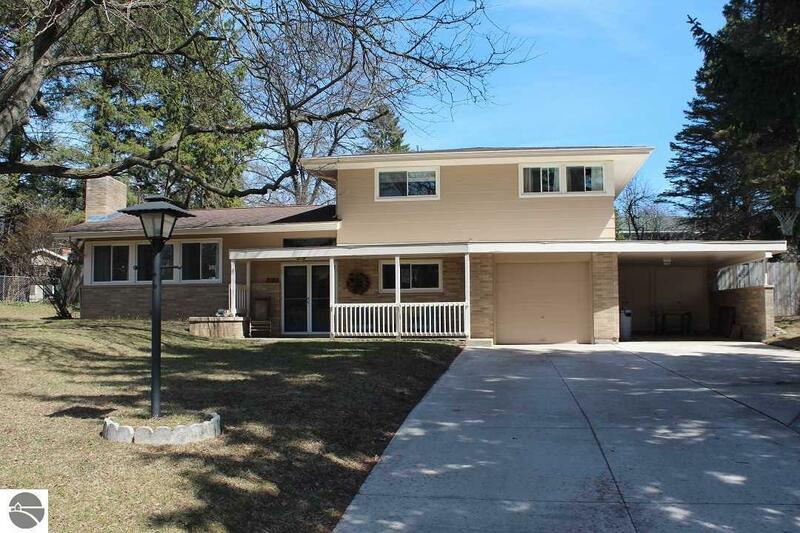 Home is near the campus of Central Michigan University, Veits woods, and downtown. Seller is including a one year American Home Shield Essential warranty. Bedroom 1 Size: 12'9" x 11'7"
Br2 Size: 11'9" x 9'10"
Br3 Size: 11'5" x 9'5"
Din Rm Size: 11'10" x 11'7"
Fam Rm Size: 12' x 10'2"
Kit Size: 18'6" x 10'11"
Other Size: 11'2" x 10'6"